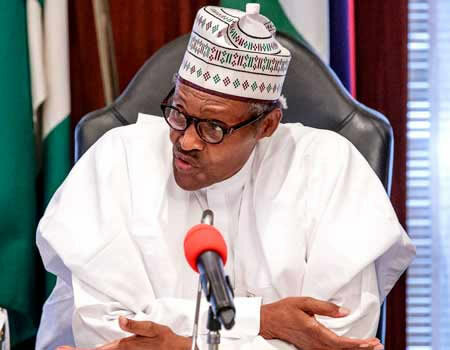 The opposition party, PDP has alleged fresh plots by the leadership of the Independent National Electoral Commission (INEC) to rig the 2019 general elections for President Buhari and the All Progressives Congress (APC). The PDP in a new statement claims that INEC has been taking directives from the Buhari Presidency and the APC on how to manipulate the electoral process at various levels. To this end, INEC has collected a list of people that will serve as electoral officials, including ad-hoc staff and returning officers at the polling units, from APC state governors and candidates, across the federation, on the directives of the Buhari Presidency. The PDP holds that by following the directive of the APC in such dubious rigging scheme, the INEC Chairman, Prof. Yakubu Mahmood, has violated section 29 (1) of the Electoral Act (as amended) and shows that he is in clear deficit of the required political will to conduct a credible, free and fair election. This is especially in the light of the boasting by agents of the Buhari Presidency and the APC to give the INEC Chairman what they describe as the “Onnoghen treatment”, and frame him, if he fails to comply with their rigging plans. In the light of the foregoing, the PDP demands that INEC, within the next 48 hours, publish the list of all officials and ad-hoc staff that will play any form of role in the election at all levels for verification by stakeholders. Any delay or refusal by INEC to publish the list with 48 hours would be a clear acceptance that it has been compromised by the APC and this could lead to a very serious crisis with very dire consequences as the PDP will never allow anybody to rig it out in this election. The PDP wants Prof. Mahmood Yakubu to note that the fate of our nation lies in his hands. It is left to him to decide whether he would end as a national hero or as a villain. Furthermore, the PDP calls on the international community to place the INEC Chairman, Directors and Commissioners in INEC responsible for this election on their watch list and proceed to impose travel ban on them as well as hold them directly responsible should there be any form of rigging in the February 16, 2019 Presidential elections. Finally, the PDP directs all its members, teeming supporters and all well meaning Nigerians across the nation to get ready to vote out President Buhari and protect their votes with all the energy available to them in the defence of our democracy and freedom as a people. This is because Nigerians have already reached a consensus to vote out the incompetence, hunger, nepotism, pretense and manifest lies which the Buhari President truly represents.